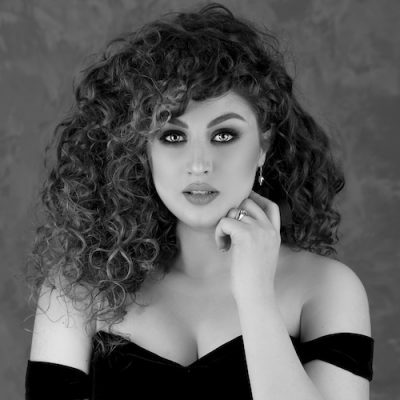 Anush Hovhannisyan is praised as “hypnotically striking” (The Arts Desk), “glamorous, excitingly temperamental” (The Sunday Times) and her voice “rich and vibrant, smoky and spiritual” (Music OMH) and “flame-toned” (Gramophone Magazine). She is the winner of First and Public Prizes, Deutsche Grammophon and Royal Danish Opera special prizes at the Stella Maris competition 2016, and of the Concours Suisse Ernst Haefliger 2014 Swiss international competition and was a finalist at the BBC Cardiff Singer of the World 2017. As a Jette Parker Young Artist she performed at the Royal Opera House Covent Garden in 2013-2015, and has worked under the direction of renowned conductors such as Jonathan Santagada, Renato Balsadonna, Semyon Bychkov, Gianluigi Gelmetti, Nicola Luisotti, Daniel Oren, Mark Wigglesworth, Esa-Pekka Salonen and Sir Antonio Pappano. Her performances, except of the variety of roles on the ROH, have also included Lucilla (La scala di seta) and Princess (El Gato con Botas) at the Linbury Studio Theatre, the soprano solos in Gloria for the Royal Ballet and Messa di Requiem for the ROH L&P tour to France, Sitâ (Le Roi de Lahore) for Chelsea Opera Group, Donna Elvira (Don Giovanni) at the Teatro Verdi di Trieste, Anitra (Peer Gynt) with Philharmonia Orchestra at the Royal Festival Hall and Lady in Waiting (Macbeth) for the Royal Opera’s 2015 tour to Japan. 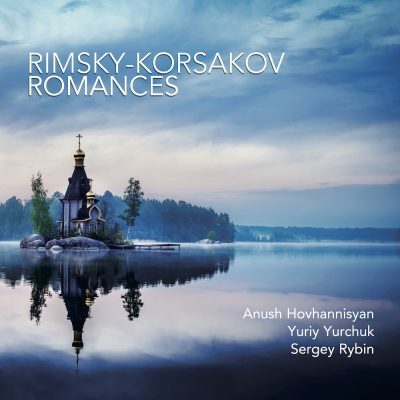 Her recordings include songs by Scriabin with Valentina Lisitsa in Complete Piano Anthology of Scriabin by DECCA and songs by Glinka with Malcolm Martineau in Decades: A Century of Song Vol 2 by VIVAT. Anush studied singing at the Yerevan State Conservatory in Armenia and at the Royal Conservatoire of Scotland. She is a Samling Artist, holder of Bayreuth Scholarship, Ian Smith of Stornoway Opera Prize and Clonter Opera Prize, and a Georg Solti Foundation scholar. Most recent and upcoming performances include the Opera Gala the Al Bustan Festival, the title role in Maria Stuarda at the Stadttheater Klagenfurt, Verdi Messa di Requiem at Glasgow City Halls, Shostakovich Symphony No. 14 with Southbank Sinfonia, Emma (Khovanshchina) at BBC Proms in Royal Albert Hall in London, Adina (L’elisir d’amore) at New Generation Festival in Florence and her debut as Violetta Valery (La traviata) for Scottish Opera.